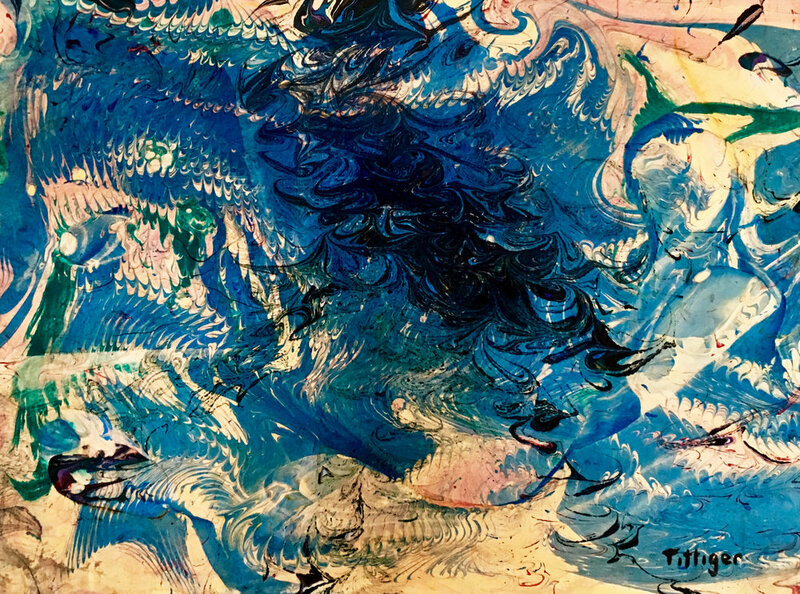 This is an 11 x 15 acrylic marbling that looks like an ink drop. This is an 11 x 15 acrylic marbling that is of crimson flowers. 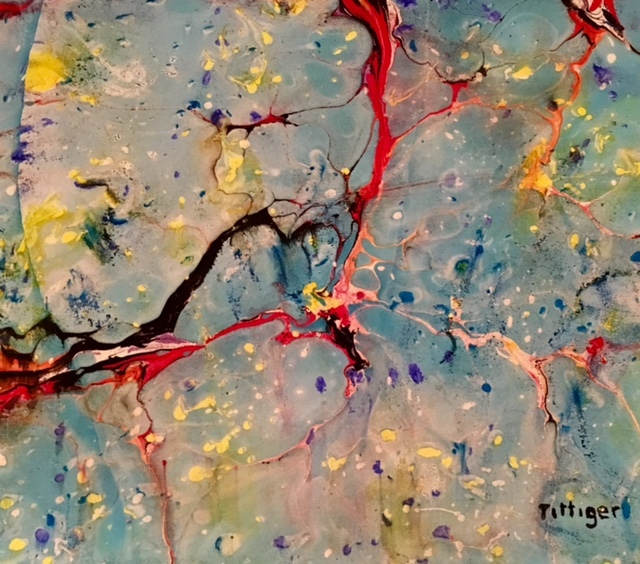 Orient is an 11 x 15 acrylic marbling. It is frames with a blue matte. This is an 11 x 1 5 acrylic marbling that is matted and framed. The mat is a deep blue green with a black frame. It really sets off the colors of the flowers. 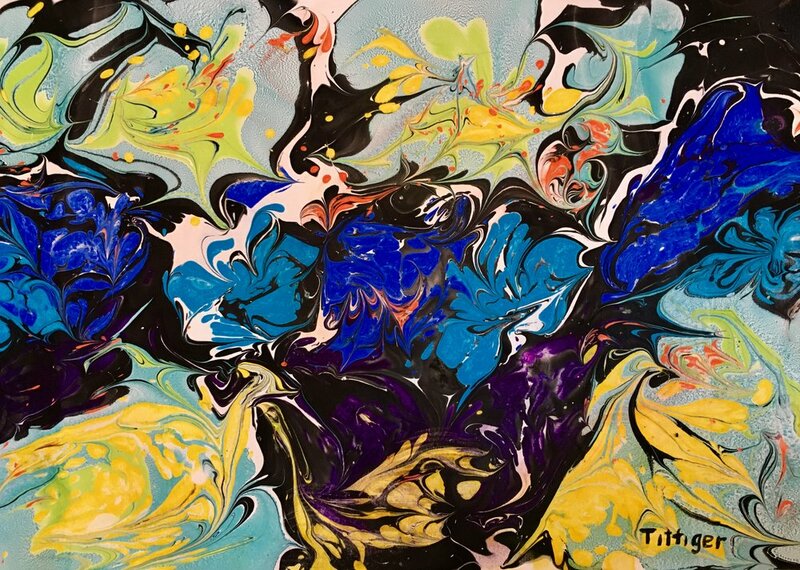 This is an 11 x 15 acrylic marbling. This is so bright and cheery and the colors are very vibrant. 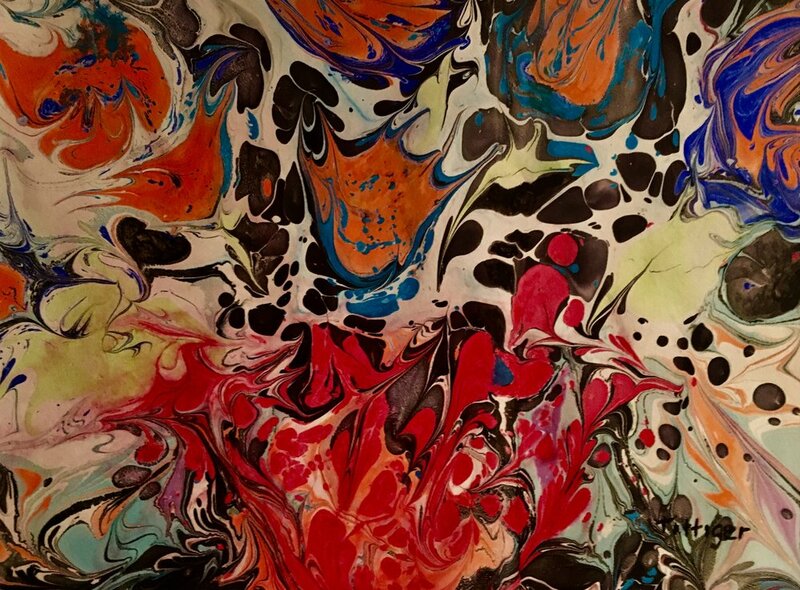 This is an 11 x 15 acrylic marbling. I called this ovals because of all of the ovals the swirls made in the paint.